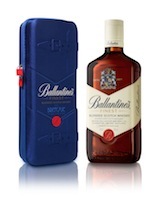 The packs are inspired by a historian’s research into founder, George Ballantine and the Finest bottle design. Finest is available in two styles: the 2014 Briefcase Tin and the 2014 Briefcase Zip. The 12 Year Old is available in The Safe Limited Edition. The Briefcase Story Edition explores the square-shaped design of the Finest bottle, rumoured to have been created so American socialites could conceal whisky in their briefcases during prohibition. The briefcase gift packs are now available in markets including Greece, India and Chile. The Safe has rolled out in Portugal, South Africa and Peru. 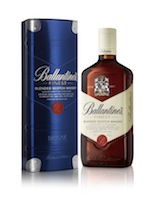 Priced in parity to Ballantine’s Finest (RRP $14) and Ballantine’s 12 Year Old (RRP $24.50).